Great opportunity to work for an outstanding company in Tomball, TX as a Customer Service Representative / Warranty Service Representative on a contract to possible hire basis. The Customer Service Representative / Warranty Service Representative will work closely with the Warranty and Services department. The ideal candidate will have strong organizational and attention to detail skills, along with outstanding customer service skills. 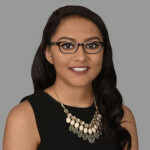 Esmeralda Guzman joined Frontline Source Group as a Recruiter for contract positions. She quickly rose in the company to staffing for contract, temp-to-hire and direct hire positions as well as earning her Certified Staffing Professional (CSP) designation. She is noted by her candidates for being focused and having a positive attitude. Esmeralda is willing to put in the long hours and commitment to sourcing the best talent in the industry! She invites both candidates and clients to contact her by phone, text or email any time of the day. Our process is designed to save you time. There’s no need to come in to register. All you need to do is submit your resume through the “Search Jobs” link or the “Upload Resume” link. If you are a fit for this role, and have additional questions, Esmeralda invites you to contact her below.